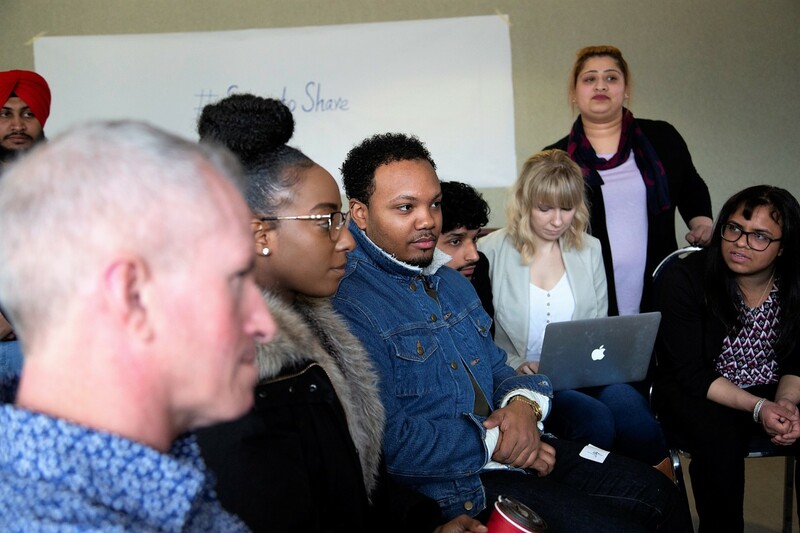 When a disturbing equity audit of Peel police was released two weeks ago the widespread discrimination and harassment reported internally by officers came as no surprise to a group of Sheridan College students in Brampton. They were part of a community meeting Thursday called Safe to Share, where members of the public and students from the Community Worker program gathered to discuss what they would like to see in the next police chief, amid continuing concern that the force fails to reflect the people it serves and violent crime is on the rise. It was immediately obvious that the students were well aware of the issues brought to the fore by the equity audit. About 30 students joined others who filled a room on campus. The mood, despite the audit’s findings that Peel police leadership has displayed little concern about the common view among frontline officers that the force is discriminatory, does not promote based on merit and is resistant to changing the police culture, was hopeful. Following the resignation of former Peel police chief Jennifer Evans, who stepped down after the scathing audit had been handed over by the firm that conducted the investigation, the Canadian Centre for Diversity and Inclusion, the police board launched an extensive search to replace her. 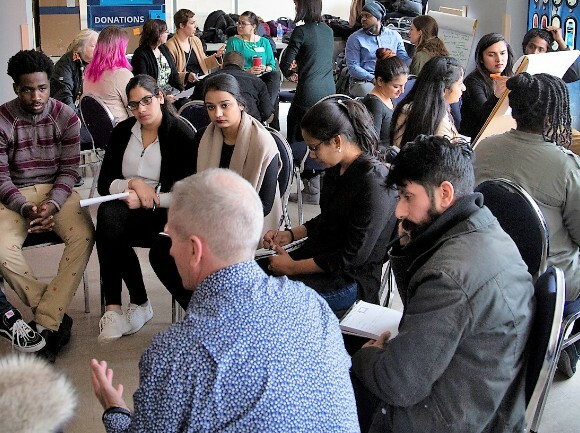 Ahead of the board’s decision on who will lead Peel police into the future, the students discussed a range of issues they would like to see the new chief address. “Peel has these particular types of policing issues and there is this gap between what the community says and what the police want in their approach,” said Abigail Salole, a professor in the program. 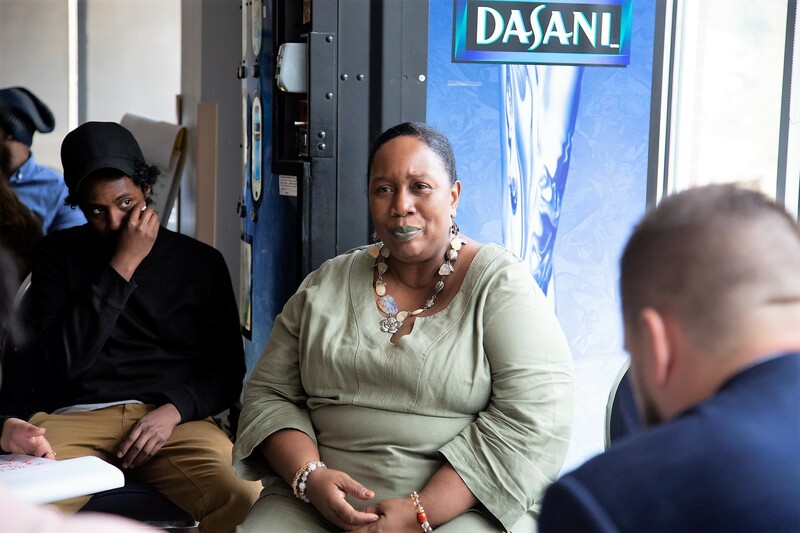 “The stakes are that people get criminalized, stakes are that people are involved in the justice system because there are issues related to race, representation and I think the equity report underlined it,” she continued. Critics had called for Evans to resign long before she did so in January. Evans drew the ire of the community in 2018 when she blamed a spike in violence on the curtailing of street checks, commonly referred to as carding stops, despite no evidence to back up her claim. In 2015 the police board voted to end carding after it was revealed that the force was targeting Black people at three times the rate, compared to whites, but Evans ignored the board’s request, claiming it didn’t have authority, and continued the harmful practice. “What I feel about carding is that it should not be tolerated… It should not be to a point where police officers are going out and looking for people just to card,” said Abdiqani Dore. The province brought in strict rules that have greatly curtailed carding, preventing officers from randomly stopping people based on race and from violating their rights by not explaining it’s a voluntary, non-detention engagement that individuals can walk away from. Dore, or Abdi as he is known to his friends, told The Pointer he used to be a resident of Toronto’s Lawrence Heights neighbourhood, which is known to some as The Jungle. “I came over here about 13 years ago. My mother and father realized there was a lot of violence and drug problems. They wanted a better life for me,” said Dore. But there have been problems in Brampton too, as violent crime has spiked in the last two years. The police has also come under fire for its conduct, which critics say has created mistrust among many in the community, which only makes dealing with crime more difficult. Along with the alarming audit and the poor track record on carding, a recent report by the OIPRD, which provides oversight of Ontario police departments, found Peel police is a top offender in charter violations involving illegal strip searches, second only to Toronto police. The meeting was part of the class’s capstone project which will culminate next week when they approach the police service board at its next public meeting with their talking points on April 12. “They decided to go to the deputation, have an active role in trying to mobilize the voice of the community; that the right police chief is hired. So even if they are not sitting on a hiring committee, they can at least have an impact,” Michaelann George, a professor in the program, told The Pointer. Several themes came up over the course of the discussion portion of the meeting. 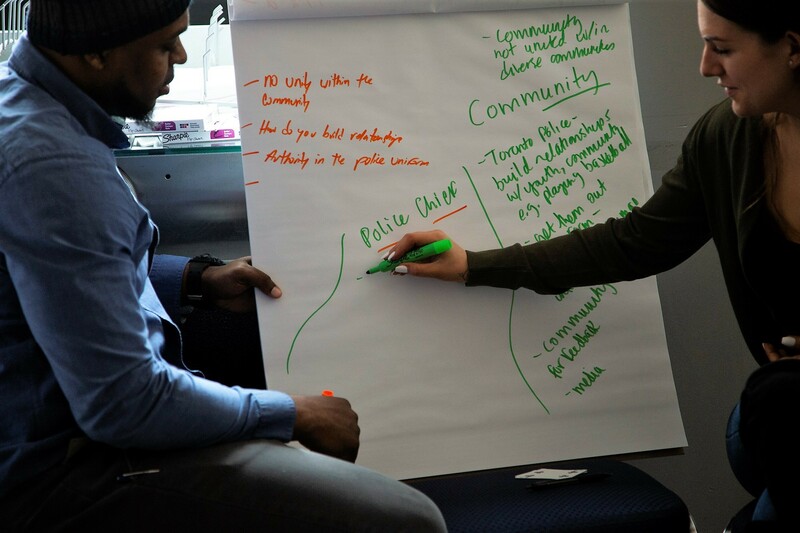 Students hoped that the new chief would possess more cultural competence to better engage not just with the community, but to more effectively confront crime, a better understanding of mental health issues often at the heart of violence in the community and restorative justice, which focuses on the rehabilitation of offenders, often through work with the community, so they do not re-offend. The simplest idea, which sparked the most positive reaction in one group of students, was a need for the next chief to have direct experience in the community for a long time, preferably through past residence here or a willingness to settle among residents who represent the community the force deals with every day. The equity audit revealed a common theme among current officers, that leadership is disconnected from the community and has disdain for Brampton in particular, a place, according to many of the responses to the audit, where few Peel police leaders choose to live. Peel’s population, especially in Brampton, is rapidly growing, with visible minorities making up about two-thirds of all residents in Brampton (73 percent) and Mississauga (57 percent), the only two cities Peel police serves (Caledon is patrolled by the OPP). According to the force’s most recent data, from 2017, only 20 percent of the uniform staff are visible minorities. An understanding of the cultural dynamics is needed if PRP officers are to effectively engage with the community, students said. “Ultimately, the police chief is the one to hold his police officers accountable. 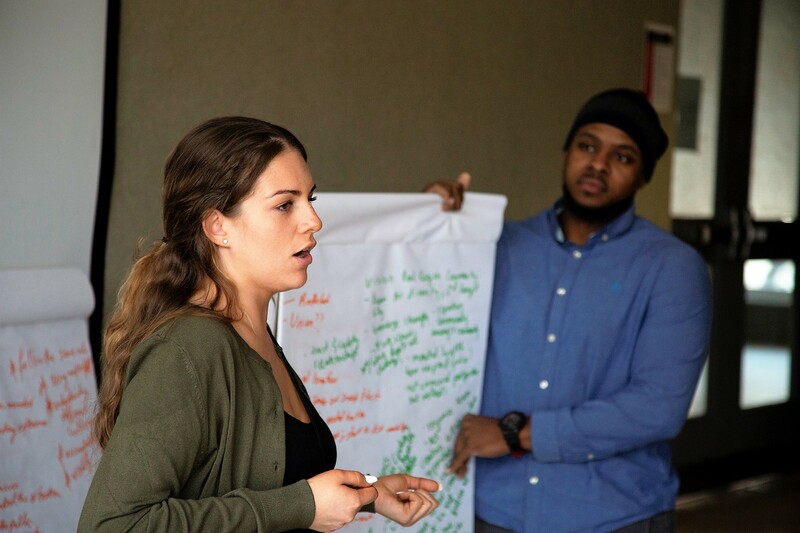 We want to see the police chief reflect the diversity that is within the Peel regional community,” said student Alyssa Warnock standing in front of the class. The issue, however, is not cut and dry. Feedback from Peel students provided for a Carleton University study suggested that students often felt safer if a police officer was present. The Sheridan students, perhaps recognizing the nuance, provided a measured take on possible solutions. “The literature is clear that people with mental illnesses are over-represented in the criminal justice system including, of course, policing; they are more likely to be arrested, more likely to have informal encounters with police, and are more likely to be subject to use of force,” read the report. “When the police are responding to someone with mental health (issues), their first instinct is to use violence.” Warnuk claimed. She said there would be fewer negative outcomes in such interactions if police officers are better trained. Glasgow Police in Scotland established the Violence Reduction Unit, a body within the force that reduces violence through a community social work, mental health and addictions help approach, in collaboration with a number of stakeholders including the country’s nationalized healthcare body. The initiative, which spread across the country, produced dramatic results. In 2007 there were 10,100 incidents of violent crime in Scotland. That number dropped down to 3,111 by 2015. A common comment at Thursday’s event was that such initiatives, and a more reflective force that looks like the two cities Peel police serves, should be priorities for the person who will be hired to lead the department into the future.